I just realized I haven’t been on a roller coaster in 3 ½ years. Three and a half years. Guys. This is completely unacceptable! As one who will take on the tallest, fastest anything, I’m having major thrill ride withdrawals. Funny, though, I hated roller coasters from the age of eight to eighteen. Funnier still is the fact that I spent those years frequenting Cedar Point in Sandusky, OH. That’s where my loathing of coasters began – and also where it ended. I basically spent ten years avoiding anything but glorified kiddy rides, all because I didn’t like that drop feeling in my stomach. Then came my high school senior trip in 2001. 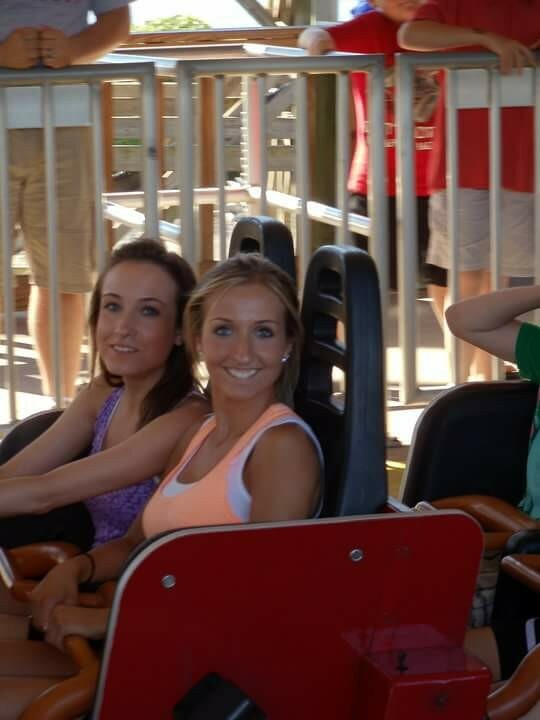 Working with a limited budget, our class decided on a day trip to Cedar Point – and my dear, sweet, loving friends somehow convinced me to go on more than one big coaster with them. 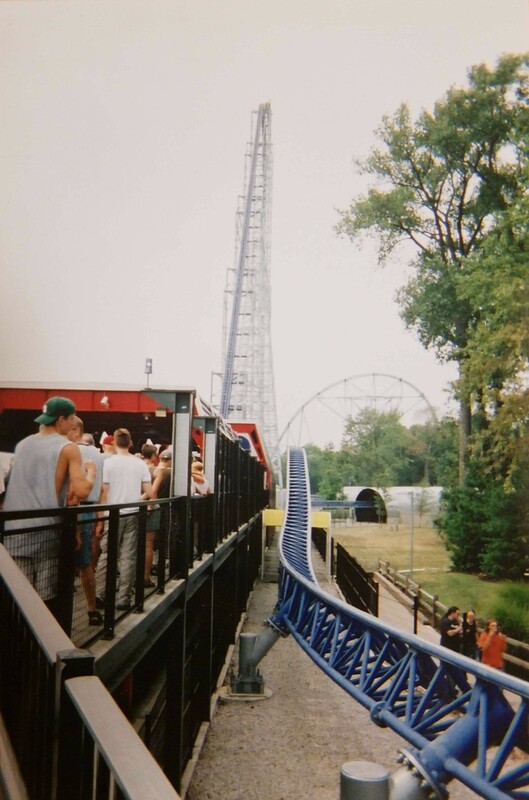 I still refused to ride the then-tallest coaster, Millennium Force – but I didn’t hate the ones I did ride, and that was a start. The following summer, I visited Cedar Point three separate times and didn’t hold back. I conquered all the tallest rides that year AND went back for more each time the park added a taller, faster one. My last coaster experience – 3 ½ years ago – occurred at Disney’s Magic Kingdom. 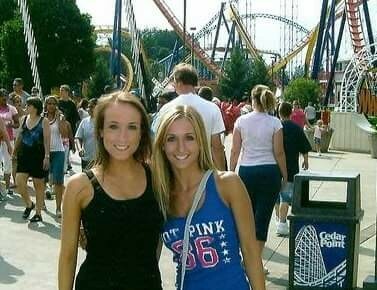 And, to be honest, those rides paled in comparison to Cedar Point’s. I know Busch Gardens in Tampa has some pretty thrilling rides, but I’m ashamed to admit I haven’t been yet! So, it being only an hour away, I suppose that’s where I should start to get my fix. Ya think? Ok. I gotta start with the tallest in the world. This 456 ft monster is also the 2nd fastest in the world at 128 mph. Those stats alone make it #1 on my list. Since Kingda Ka is only #2 in the world for speed, the fastest in the world has to be 2nd on my list. Yes, I want to go 149.1 mph in Dubai. Yes. It’s the world’s first fifth dimension coaster. Umm. Whaaaat?? I don’t even care what that means. Get me on it! But really, I do know what it means, and it’s intense. “With its 360-degree rotating seats,” an “unreal assortment of dives, flips and twists,” plus a “groundbreaking use of music, sound effects, and fire,” X2 is one I need to ride to believe! This steel coaster is the longest in North America, with over 1.25 miles of track! And the first drop? 320 ft. at an 81-degree angle! But, if I’m being honest, this one really made the list because it straddles the border between the Carolinas. I mean, haven’t you ever said to yourself, I wanna cross state lines going 95 mph – without getting a ticket ?? Or, is that just me? Two of the drops end with tunnel dives, and there’s lots of air time. (It is the Superman ride after all!) Add to that over a mile of track and a speed of 77 mph. This Clark Kent is ready to trade her glasses for a cape! I’m going back to my roots with this one. This tallest, fastest dive coaster in the world was constructed after my last visit to ‘The Point’ and it’s the main reason I’m long overdue for a return trip. Dangling in the air at 223 ft. over a 90-degree drop… then freefalling??? Ohhh my yes. I need that in my life. This is one instance when my frugality kept me from doing something cool. I am now kicking myself for not visiting this amusement park while in Barcelona back in May. I even (very) briefly had it on my itinerary as a maybe; but dismissed it as a time and money waster. In my defense, though, I didn’t know about the coaster – or how it winds through a forest on the mountain, then breaks through the trees for sweeping views of the city below. It’s far from the tallest or fastest on this list, but it might just win for best views! This last ride on the list doesn’t actually exist yet. But, at over 500 ft. it’s set to be the tallest in the world – and only two hours from my home in Sarasota!!! Plans are still underway, so I don’t have all the details. I just know I have to ride it when it opens, though maybe not right when it opens. If I’m smart, I’ll wait patiently to avoid O-Town’s busiest times of year. While compiling my list, I came across this one for the Scariest Roller Coasters in North America. And, just so you know, I would have added both Top Thrill Dragster (tied for #1) and Millennium Force (#11) to my list – but I’ve already ridden them! Both are at Cedar Point and I will say without hesitation that their inclusion on this ‘scariest’ list is well-deserved. So, what do you think of my thrill ride bucket list? Have you ridden any of the above? Or, would you add any I missed? Shoot me a comment and let’s talk coasters!